As one of their first big-ticket legislative proposals of the new Congress, House Democrats on Friday unveiled a sweeping anti-corruption, campaign finance and ethics reform package that takes aim at long-simmering concerns about President Donald Trump’s possible conflicts of interest between his actions as president and his family business. The massive proposal, known as “The For the People Act” and designated as “House Resolution 1,” also includes dozens of measures from Democrats on ethics and campaign finance reform, voting rights and election security. It would also require presidential and vice presidential candidates to release 10 years of their personal tax returns and require sitting presidents and vice presidents to do the same. 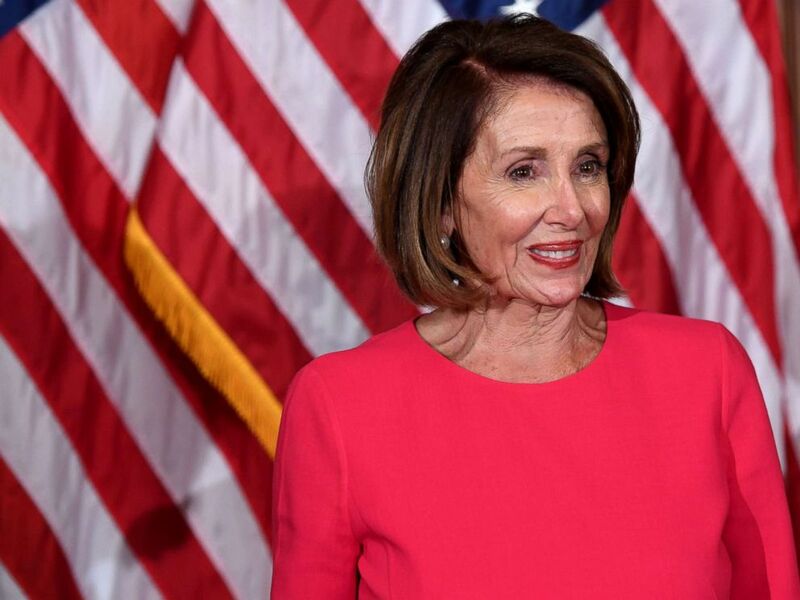 “It’s important for what it does, it’s important for the confidence it gives people that their voices, their concerns, are heard,” House Speaker Nancy Pelosi said Friday at a news conference unveiling the legislation. In addition to the tax returns provision, the bill would also require presidential appointees to recuse themselves from any matters involving the president, a president’s spouse or any entities in which they hold a “substantial interest.” The measure was derived from a proposal from Sen. Elizabeth Warren, D-Mass., and introduced by Rep. Katherine Clark, D-Mass., in the House, according to a section-by-section summary of the proposal obtained by ABC News. The bill would also give the Office of Government Ethics more authority to strictly enforce violations of ethics law, such as the Hatch Act, which prohibits government employees from using official resources for political purposes, a provision repeatedly violated by Trump administration officials, according to the Office of Special Counsel, an independent government investigative agency that is not affiliated with the the Russia investigation being conducted by special counsel Robert Mueller. A House Democratic aide said the package would also include a nonbinding sense of Congress encouraging presidents and vice presidents to put their assets in a blind trust. It would also require new spending disclosures for presidential inaugural committees, which comes as Mueller’s team has questioned witnesses about millions of dollars in contributions to the Trump inaugural committee. 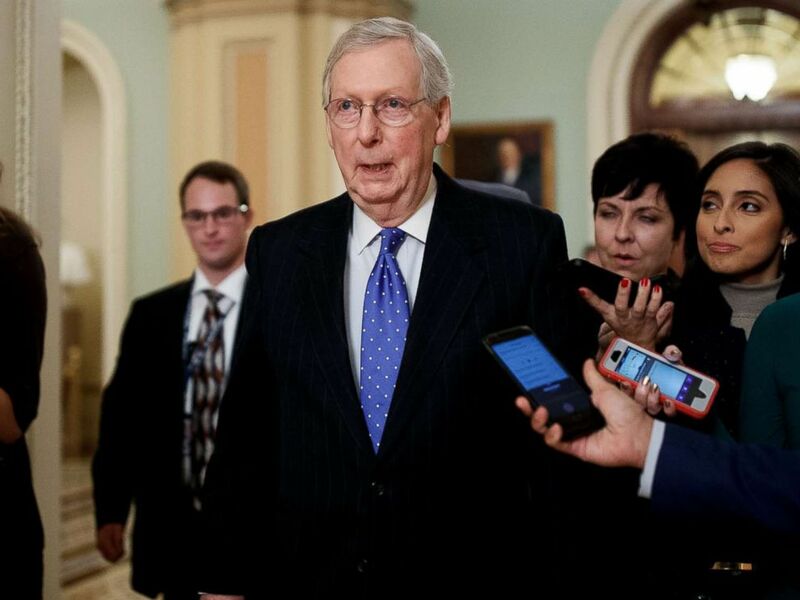 Senate Majority Leader Mitch McConnell talks to reporters on Capitol Hill in Washington, Dec. 19, 2018. While Democrats plan to mark up the legislation in several committees over the coming weeks and send the bill to the Senate by the middle of next month, they’re not expecting much from the Republican-led Senate. In December, Senate Majority Leader Mitch McConnell, R-Ky., dismissed the effort in remarks during the Wall Street Journal’s annual CEO Council. “That’s not going to go anywhere in the Senate,” he said. Rep. John Sarbanes, D-Md., the chair of the House Democrats’ Democracy Reform Task Force who helped organize the package, told ABC News that it would be important for Democrats to pass heading into two years of divided government, and the next presidential cycle. Sarbanes said Democrats would also be willing to separately pass smaller pieces of the package that could receive Republican support in the Senate. An example is the Honest Ads Act, a Senate bill requiring disclosure for online political ads first introduced amid concerns about Russian use of social media advertising to spread disinformation and disrupt the 2016 presidential election. They also plan to simultaneously hold hearings to establish a record to update portions of the Voting Rights Act, after the Supreme Court’s 2013 ruling overturning key parts of the law that dealt with determining which states need to seek approval before changing election or voting laws.